Leroy Eims in his book, Be A Motivational Leader, while discussing praise says â€œBut praise can have either good or a bad effect,â€ and then quoting Proverbs 27:21 â€œThe crucible for silver and the furnace for gold, but man is tested by the praise he receives.â€ His main idea is that leaders must guard their hearts when people praise them because it can lead to even more self-love and take away glory that should be the Lordâ€™s. 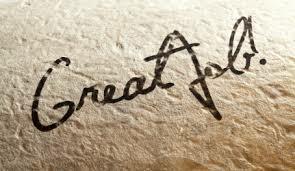 Our character is tested by how we deal with praise from others.Â The good is that praise can lead one to be encouraged to go on to do more for the Lord; the bad is that one becomes deluded with visions of grandeur (which has effected more than one young leader I know). Having just finished a week of many hours of preparation for VBS and the actual week of VBS where we had many children, I know we should give all the praise and glory to God. He ultimately is the one who orchestrated everything for His glory. He chooses to use us in His plan and part of that is using our individual gifts, as the body of Christ. We work together to carry out The Lordâ€™s will and purposes. But there is nothing wrong with saying thank you to those who were apart of the effort. 1)Â Â Donâ€™t withhold praise from those that deserve it. Sometimes when we serve with someone who has done wrong, we withhold our praise because somehow on a psychological level we want to punish them. But if you are the leader, you have a responsibility to encourage and develop those whom you lead. Part of this leadership process is to praise people for when they have done something right or above what was expected. Instead of feeling blessed that he had such a distinguished and talented general, he felt extreme jealously. This jealousy kept him from being the king he could have been. If you feel jealousy for someone when they are praised and you are not, this will keep you from being the leader you were intended to be. Instead of seeking to develop and build others up, you will seek to tear them down (which proved disastrous for Saul). 3)Â Â Donâ€™t withhold something that is free. Praise for others costs you nothing to give, but has immense profits. People will feel encouraged in their efforts, and will recognize that you appreciate them. Your goals will become theirs and in the end the Lord if glorified because your efforts are able to expand. Â Leroy Eims, Be A Motivational Leader (Colorado Springs, Colorado; David C Cook, 2012) 56.